We have come together as a staff to decide why and how we do what we do. 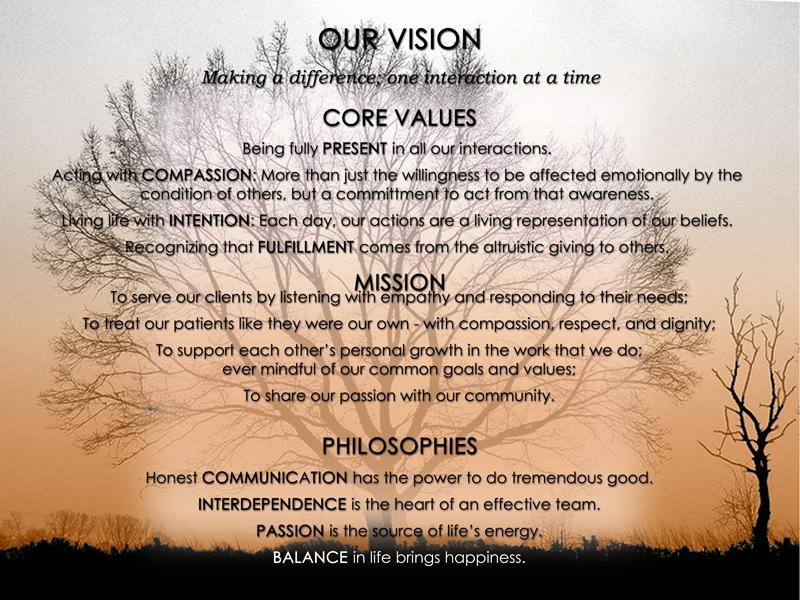 When taking care of our clients and patients we are guided by this vision which is further defined by our clinic’s core values, our mission and our philosophies. We then use these as a guide to help us better in our daily interactions. Being fully PRESENT in all our interactions. Acting with COMPASSION, more than just the willingness to be affected emotionally by the condition of others, but a commitment to act from that awareness. Recognizing FULFILLMENT comes from the altruistic giving to others. Share our passion with our community.